Showing 1 - 2 of 2 Products for Suspension Installation Kit. 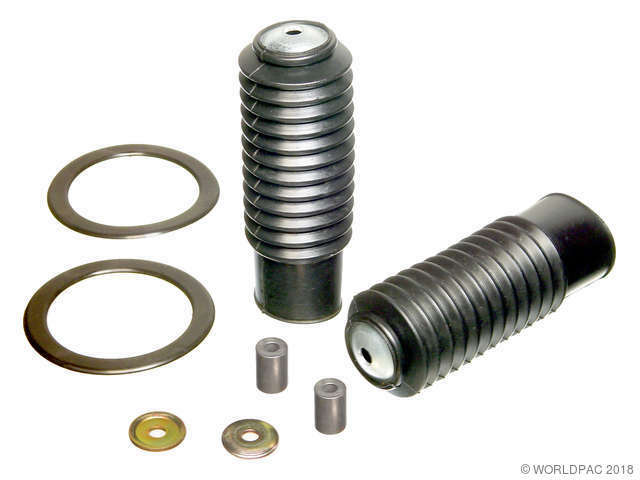 with Self-Leveling Rear This kit used with KYB shock #KG9309 to convert 88-94 XJ6, Vanden Plas, & Sovereign from self-leveling rear shocks to the standard suspension shocks * The original coil springs may be fatigued and if reused the vehicles ride heigth will be too low. To avoid a possible low condition, the factory coil springs should be replaced. (Coil Spring Set Part# JLM 11382) * This kit will not work with any other brand of shock - "KYB's Only"
This kit used with KYB shock #KG9309 to convert 88-94 XJ6, Vanden Plas, & Sovereign from self-leveling rear shocks to the standard suspension shocks. The original coil springs may be fatigued and if reused the vehicles ride height will be too low. To avoid a possible low condition, the factory coil springs should be replaced. (Coil Spring Set Part# JLM 11382). This kit will not work with any other brand of shock - KYB's Only.